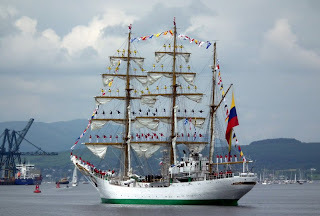 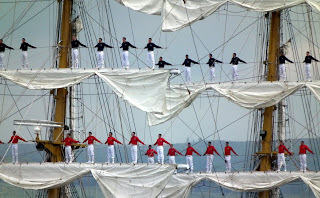 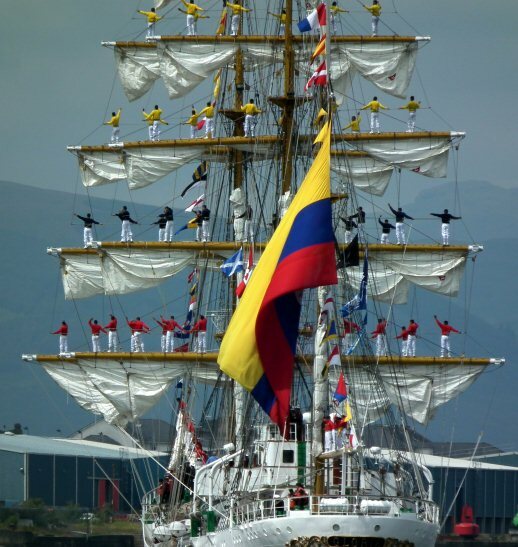 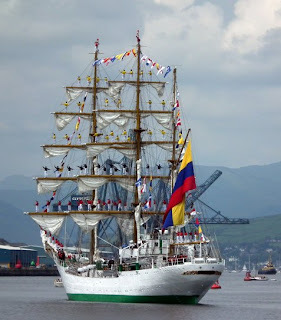 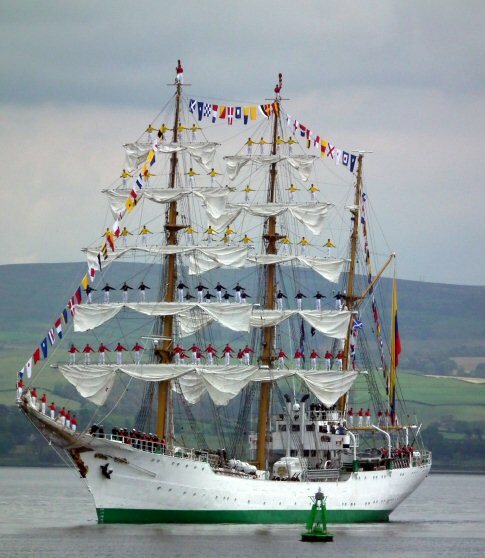 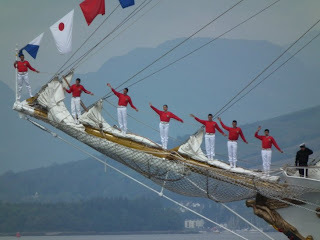 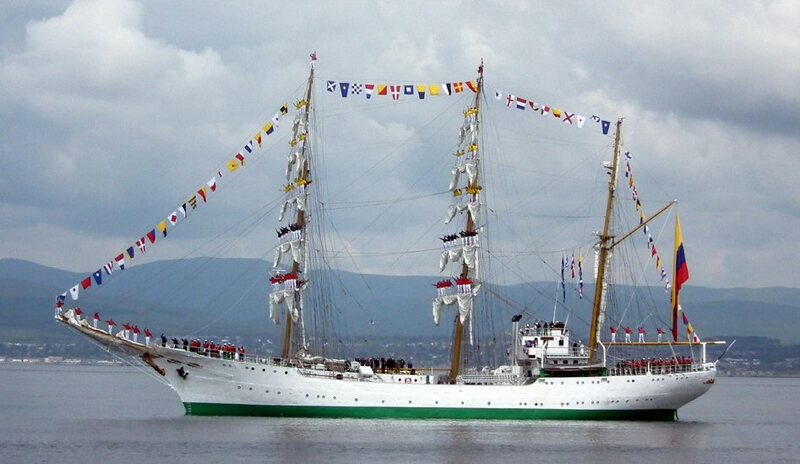 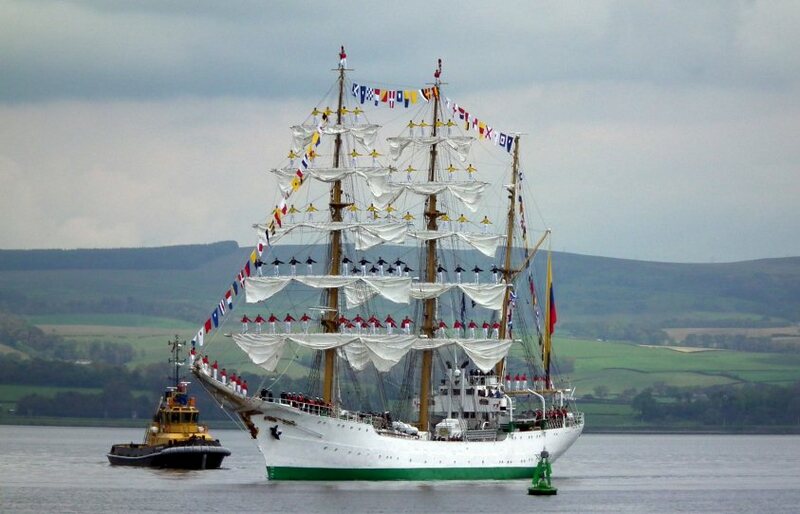 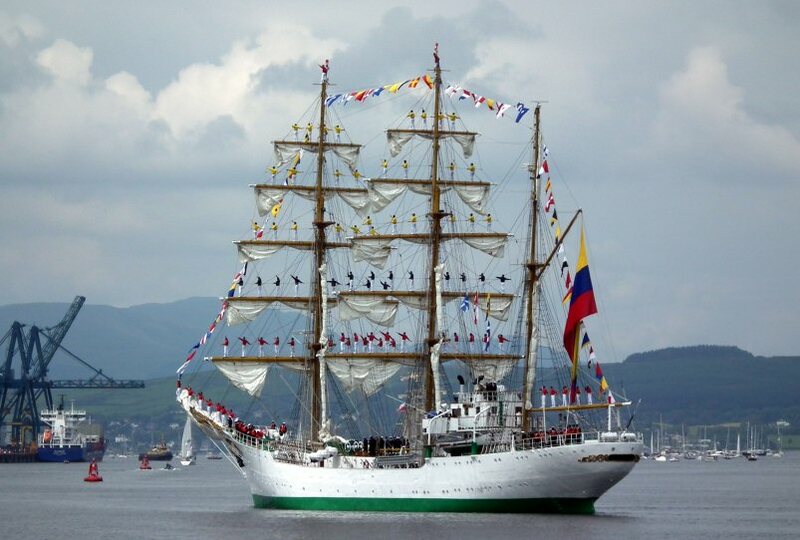 The Gloria is the official flagship and sail-training ship of the Colombian Navy, and her home port is Cartagena. 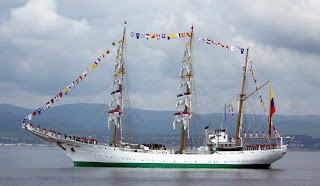 Purpose-built in 1968 as a sail-training ship in the Celeya shipyard in Spain, the Gloria is over 56 meters (257ft) long - one of the biggest tall ships still afloat. She is steel-hulled, but there is plenty of polished wood and brass and her four masts and 23 sails give her an appearance of being even older than she is (every step on the ship has the name Gloria embedded in the solid brass escutcheon scuff-plates). 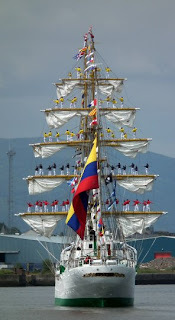 Her figurehead, coated in glittering gold-leaf, is called Maria Salud, reputedly after the sculptor's daughter. 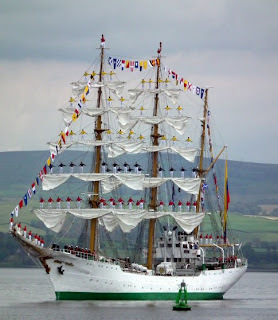 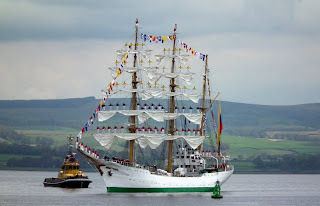 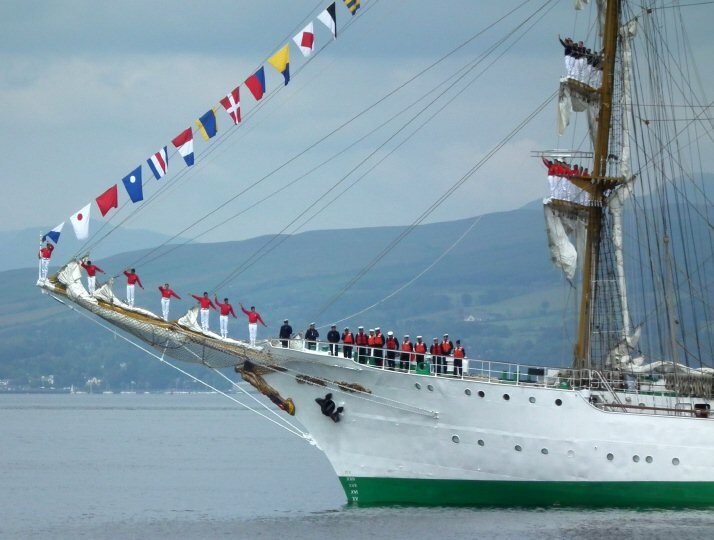 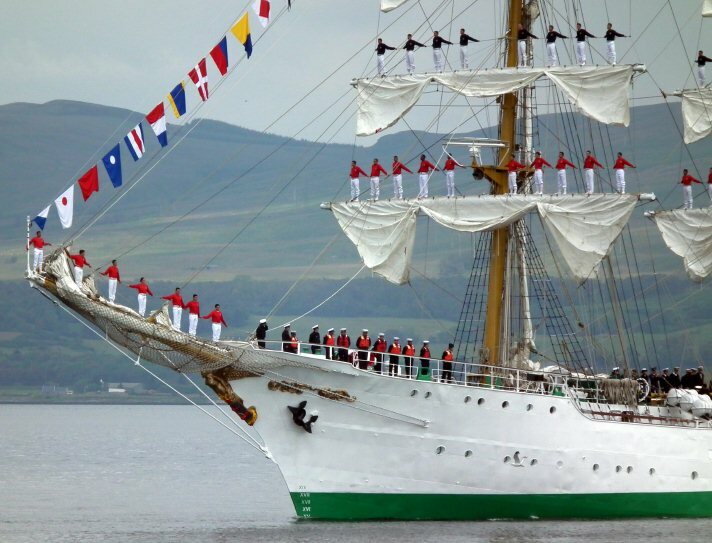 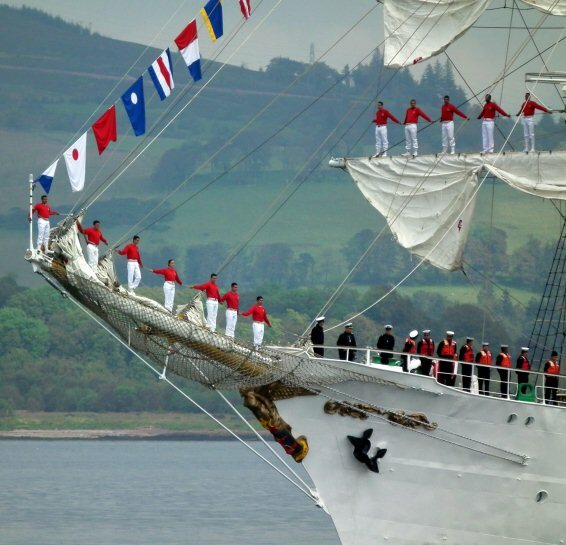 The Gloria was the highlight of the Tall Ships at Greenock for me. 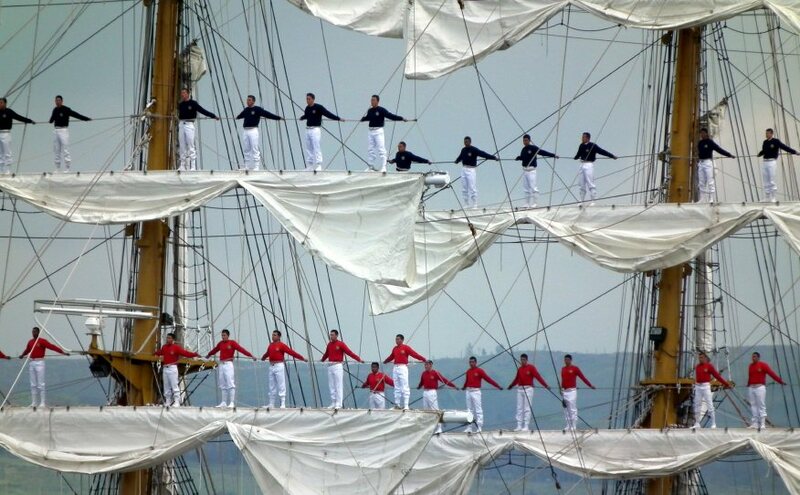 Very well captured in these great photos.